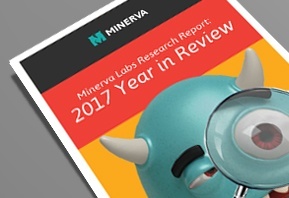 In 2017, adversaries continued to benefit from the classic use of malicious software, which included holding systems at ransom, conducting industrial espionage, and stealing sensitive personal data. Closer to the end of the year, we’ve seen an increase in another tactic: the use of malicious software that used victims’ systems to mine cryptocurrency on behalf of the intruder. Which attack vectors were popular to deliver evasive malware in 2017? How was ransomware employing evasive techniques? How and why is cryptomining creating a new 'gold rush'?